Office hours: Tuesday 5.00 - 6.00 p.m. Please make an appointment via E-mail (office@eco.uni-heidelberg.de). Timo Goeschl (PhD, Economics, University of Cambridge) is Professor of Environmental Economics in the Department of Economics (Alfred Weber-Institute) at Heidelberg University, Director of the Research Center for Environmental Economics, and board member of the Heidelberg Center for the Environment. Before coming to Heidelberg, Timo was Assistant Professor at the University of Wisconsin-Madison, University Lecturer at the University of Cambridge, and a Research Fellow at University College London. He was educated at the University of Notre Dame and the University of Innsbruck. Timo is a Research Associate at the Centre for European Economic Research - ZEW in Mannheim and an adjunct professor in the joint Executive MBA program of ESSEC and Mannheim Business School. He serves as Co- Editor of Environmental and Resource Economics, on the Editorial Board of the Journal of Environmental Economics and Management and Economics of Disasters and Climate Change. 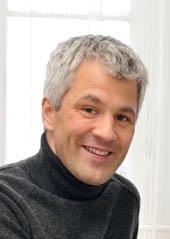 Timo is also a member of the scientific board of the Rheinisch-Westfälisches Institut für Wirtschaftsforschung and the Conseil de Perfectionnement at the Toulouse School of Economics. Over the years, he has been consultant for a number of public and private organizations, among them the World Bank, the Asian Development Bank, the OECD, the UK’s Prime Minister’s Strategy Unit, the Environment Agency for England and Wales, and the German Parliament (Bundestag) as well as British Petrol and Anglian Water. Timo Goeschl is recipient of a number of awards and prizes, among them Marsilius-Fellowships, a Fulbright-Schuman Fellowship, an Austrian Academy of Sciences scholarship, and in 1995 the Outstanding Graduate Award (Würdigungspreis) by the Minister for Science and Research for Austria’s top 50 graduates. 8) Leveling Up? - An Inter-Neighborhood Experiment on Parochialism and the Efficiency of Multi-Level Public Goods Provision (with C. Gallier, M. Kesternich, J. Lohse, C. Reif and D. Römer). 7) Subsidizing quantity donations: Matches, Rebates, and Discounts Compared (with J. Diederich, C. Eckel, P. Grossman, and R. Krause). 5) Establishing Causality in Climate Litigation: Admissibility, Reliability, and the Fraction of Attributable Risk (with T. Pfrommer, M. Carrier, J. Lenhard, U. Neumaier, A. Proelss, H. Schmidt). 4) Precision requirements in pesticide risk assessments: Contrasting value of information recommendations with the regulatory practice in the EU (with Daniel Heyen). 3) Risk Assessment under Ambiguity: Precautionary Learning vs. Research Pessimism (with Daniel Heyen and Boris Wiesenfarth). 2) Torts, Experimentation, and the Value of Information (with Tobias Pfrommer). 1) What do we learn from public good games about voluntary climate action? Evidence form an artefactual field experiment (with Sara Kettner, Hannes Lohse and Christiane Schwieren). (41) Establishing Causality in Climate Litigation: Admissibility, Reliability, and the Fraction of Attributable Risk (with T. Pfrommer, M. Carrier, J. Lenhard, U. Neumaier, A. Proelss, H. Schmidt), Climatic Change 152(1) January 2019, 67-84. (40) From social information to social norms. Evidence from two experiments (with J. Lohse, S. Kettner, C. Schwieren). Forthcoming in: Games. (39) Cooperation in public good games: Calculated or confused? (with J. Lohse). European Economic Review (107), (August 2018), 185-203. AWI Working Paper version here. (38) Public in-kind relief and private self-insurance (with S. Managi). Economics of Disasters and Climate Change, (May 2018). (37) Voluntary action for climate change mitigation does not exhibit locational preferences (with J. Diederich). Journal of Environmental Economics and Management, (March 2018). AWI Working paper version titled “Does Mitigation Begin At Home? (36) Trust, but verify? Monitoring, inspection costs, and opportunism under limited observability (with J. Jarke). Journal of Economic Behavior and Organization. 142 (October 2017), 320-330. (35) To Mitigate or Not To Mitigate: The Price Elasticity of Pro-Environmental Behavior (with J. Diederich). Journal of Environmental Economics and Management 84 (July 2017), 209-222. (34) The Climate Policy Hold-Up: Green Technologies, Intellectual Property Rights, and the Abatement Incentives of International Agreements" (with G. Perino). The Scandinavian Journal of Economics 119(3), 709-732. (33) Giving is a question of time: Response times and contributions to a real world public good (with J. Lohse and J. Diederich). Environmental and Resource Economics 67(3), (July 2017), 455-477. (32) Registered Replication Report: Rand, Greene, and Nowak (2012) (with S. Bouwmeester et al.). Perspectives on Psychological Science. (March 2017). (31) Discussion of ‘Climate Policy’ by Hassler, Krusell & Nycander. Economic Policy 31(87), (July 2016), 546 – 549. (30) Second and Third Party Punishment under Costly Monitoring (with. J. Jarke). Journal of Economic Psychology 54 (June 2016), 124-133. (29) Group Size and the (In)Efficiency of Pure Public Goods Provision (with J. Diederich and I. Waichman). European Economic Review 85 (June 2016), 272-287. (28) The Sopranos Redux: The Empirical Economics of Waste Crime (with C. Almer). Regional Studies 49(11), November 2015, 1908-1921. (27) Comprehension of Climate Change and Environmental Attitudes Through the Lifespan (with C. Degen; S.E. Kettner, H. Fischer, J. Lohse, J. Funke, C. Schwieren, and J. Schröder). Zeitschrift für Gerontologie und Geriatrie 47(6), August 2014, 490-494. (26) Criminalizing Environmental Offences: When the Prosecutor’s Helping Hand Hurts (with O. Jürgens). European Journal of Law and Economics 37(2), April 2014, 199-219. (24) The Warnings Puzzle: an Upstream Explanation (with J. Jarke). Journal of Regulatory Economics 44(3), October 2013, 339-360. (23) The Intergenerational Transfer of Transfer of Solar Radiation Management Technologies and Atmospheric Carbon Stocks (with D. Heyen and J. Moreno-Cruz). Environmental and Resource Economics. September 2013, 56(1), September 2013, 85-104. (22) Environmental Quality and Welfare Effects of Improving the Reporting Capability of Citizen Monitoring Schemes (with O. Jürgens). Journal of Regulatory Economics. 42(3), December 2012, 264-286. (21) Instrument Choice and Motivation: Evidence from a Climate Change Experiment (with G. Perino). Environmental and Resource Economics 52(2), June 2012, 195-212. (20) Explaining uniformity in rule design: The role of citizen participation in enforcement (with O. Jürgens). International Review of Law and Economics 32(1), March 2012, 166-177. (19) The Political Economy of the Environmental Criminal Justice System: A Production Function Approach (with C. Almer). Public Choice 148(3-4), September 2011, 611-630. (18) Emissionsvermeidung oder Anpassung an den Klimawandel: Welche Zukunft hat die Klimapolitik? (with H. Bardt, L Feld, K. Konrad, M. Thum, W. Buchholz, D. Rubbelke, C. Hey, K. Holm-Muller, M. Weber, R. Pethig, J. Weimann, Ifo Schnelldienst 64(05), March 2011, 3-29. (17) The Biodiversity Bargaining Problem (with R. Gatti, B. Groom, and T. Swanson) . Environmental and Resource Economics 48(4), April 2011, 609-628. (16) Environmental Crime and Punishment: Empirical Evidence from the German Penal Code (with C. Almer). Land Economics 86(4), November 2010, 707–726. (15) On Backstops and Boomerangs: Environmental R&D under Technological Uncertainty (with G. Perino). Energy Economics 31(5), September 2009, 800-809. (14) Optimal Conservation, Extinction Debt, and the Augmented Quasi-Option Value (with A. Leroux and V. Martin). Journal of Environmental Economics and Management 58(1), July 2009, 43-57. (13) The Value of Conserving Genetic Resources for R&D (with M. Sarr and T. Swanson). Ecological Economics 67(2), September 2008, 184-193. (12) Real options in biodiversity conservation (with A. Leroux and V. Martin), Proceedings in Applied Mathematics and Mechanics (PAMM) 7(1), December 2007, 1080801-1080802. (11) Innovation Without Magic Bullets: Stock Pollution and R&D Sequences (with G. Perino). Journal of Environmental Economics and Management, 54(2), Sept. 2007, 146-161. (10) Property Rights for Biodiversity Conservation and Development: An Analysis of Extractive Reserves in the Brazilian Amazon (with D. Igliori). Development and Change 37(2), March 2006, 427-451. (9) Non-Binding Linked-Issues Referenda: Analysis and an Application. Public Choice 124 (3-4), September 2005, 249-266. (8) Incentivizing Ecological Destruction: The Joint International Regulation of the Conservation and Use of Biodiversity (with R. Gatti, B. Groom and T. Swanson), Indiana Law Review 38(3), May 2005, 619-635. (7) Reconciling Conservation and Development: A Dynamic Hotelling Model of Extractive Reserves (with D. Igliori). Land Economics 80(3), Aug. 2004, 340-54. (6) Plagues, Pests, and Patents (with T. Swanson). Journal of the European Economic Association, Vol. 1(2-3), May-June 2003, 561-575. (5) The Development Impact of Genetic Use Restriction: A Forecast based on the Hybrid Crop Experience (with T. Swanson). Environment and Development Economics 8, 2003, 149-165. (3) Genetic use restriction technologies and the diffusion of yield gains to developing countries (with T. Swanson). Journal of International Development 12(8) Dec. 2000, 1159-1178. (2) An Analysis of the Impacts of Genetic Use Restriction Technologies (GURTs) on Developing Countries (with T. Swanson), International Journal of Biotechnology Vol. 2, Jan-Feb. 2000, 56-84. (1) Property Rights Issues Involving Plant Genetic Resources: Implications of Ownership for Economic Efficiency (with T. Swanson); Ecologigal Economics 32(1), Jan. 2000, 75-92. People and Biodiversity Policies : Impacts, Issues, and Strategies for Policy Action (with P. Bagnoli and E. Kovacs). Paris: OECD 2008. (21) The Distributive Impact of Intellectual Property Regimes: A Report from the "Natural Experiment" of the Green Revolution (with T. Swanson). In: M. Cimoli, G. Dosi, K.E. Maskus, R.L. Okediji, J.H. Reichman and J. Stiglitz (eds. ): Intellectual Property Rights: Legal and Economic Challenges for Development. Oxford/New York: Oxford University Press 2014, 264-287. (20) Bargaining over global public goods (with B. Groom, J.R.J. Gatti, and T. Swanson). In E. Brousseau, T. Dedeurwaerdere, P.-A. Jouvet, M. Willinger (eds. ): Global Environmental Commons: Analytical and Political Challenges in Building Governance Mechanisms. Oxford/New York: Oxford University Press 2011, 105-125. (19) International experiences to inform The People’s Republic of China’s institutional choices for environmental policy. In: T. Lin and T. Swanson (eds. ): Economic Growth and Environmental Regulation. Abingdon/New York: Routledge, 2010, 296-317. (18) Distributive Constraints on Environmental Policy in Central Asia. In: J. Qi,, K. Evered (eds. ): Environmental Problems of Central Asia and their Economic, Social and Security Impacts. New York: Springer 2009, 311-326. (17) Designing the Legacy Library of Genetic Resources: Approaches, Methods, Results (with T. Swanson). In: A. Kontoleon, U. Pascual and T. Swanson (eds. ): Frontiers in Biodiversity Economics. Cambridge: Cambridge University Press 2007, 273-292. (16) Do patent-style intellectual property rights on transgenic crops harm the environment? In: J. Wesseler (ed. ): Environmental Costs and Benefits of Transgenic Crops in Europe: Implications for Research, Production, and Consumption. Dordrecht, The Netherlands: Kluwer Academic Publishers 2005, 203-218. (15) Diffusion and Distribution: The Impacts on Poor Countries of Technological Enforcement within the Biotechnology Sector (with T. Swanson). In: K. Maskus and J. Reichman (eds. ): International Public Goods and Transfer of Technology under a Globalized Intellectual Property Regime. Cambridge: Cambridge University Press, 2005, 669-694. (14) The Inappropriateness of the Patent System for Addressing Recurring Problems of Resistance (with T. Swanson). In: R. Laxminarayan: Battling Resistance to Antibiotics and Pesticides: An Economic Approach. Washington. D.C.: RFF Press 2003, 293 – 329. (13) Stakes in the Evolutionary Race. The Value of Medicinal Plants. In: C. Johnson and C. Franz (eds. ): Breeding Research on Medicinal Plants. Haworth Press, NY 2002, 373-388. (12) The Impacts of GURTS: Agricultural R&D and Appropriation Mechanisms (with T. Swanson). In T. Swanson (ed): Biotechnology, Agriculture and the Developing World. The Distributional Implications of Technological Change. Cheltenham: Edward Elgar 2002, 44-66. (11) The Impacts of GURTS on Developing Countries: A Preliminary Assessment (with T. Swanson). In T. Swanson (ed): Biotechnology, Agriculture and the Developing World. The Distributional Implications of Technological Change. Cheltenham: Edward Elgar 2002, 177-197. (10) Forecasting the impact of genetic use restriction technologies: a case study on the impact of hybrid crop varieties (with T. Swanson). In T. Swanson (ed): Biotechnology, Agriculture and the Developing World. The Distributional Implications of Technological Change. Cheltenham: Edward Elgar 2002, 198-218. (9) Policy Options for the Biotechnology Revolution: What can be done to address the distributional implications of biotechnologies (with T. Swanson). In T. Swanson (ed): Biotechnology, Agriculture and the Developing World. The Distributional Implications of Technological Change. Cheltenham: Edward Elgar 2002, 249-270. (8) Intellectual Property Rights in Global Agriculture and their Impact on the Diffusion of Productivity Gains (with T. Swanson). In: D. O'Connor (ed. ): Technology and Poverty Reduction in Asia and the Pacific. OECD Publications 2002. (7) On the Economic Limits to Technological Potential: Will Industry Resolve the Resistance Problem? (with T. Swanson). In: Swanson, T. (ed): The Economics of Managing Biotechnologies. Dordrecht: Kluwer Academic Publishers 2002, ch. 4. (6) The Diffusion of Benefits from Biotechnological Developments: The Impact of Use Restrictions on the Distribution of Benefits (with T. Swanson). In: Swanson, T. (ed): The Economics of Managing Biotechnologies. Dordrecht: Kluwer Academic Publishers 2002, ch. 10. (5) The Impact of Genetic Use Restriction Technologies on Developing Countries: A Forecast. In: Evenson, R., Zilberman, D. (eds). : Economic and Social Issues in Agricultural Biotechnology. Wallingford: CABI. 2002. (4) Of Terminator Genes and Developing Countries: What are the Impacts of Appropriation Technologies on Technological Diffusion (with T. Swanson). In: M. Qaim, A Krattiger and J.v. Braun: Agricultural Biotechnology in Developing Countries: Towards Optimizing the Benefits for the Poor. Dordrecht: Kluwer Academic Publishers 2000, 237-254. (3) Ecology, Information, Externalities and Policies: The Optimal Management of Biodiversity for Agriculture (with T. Swanson). In: G.H. Peters and J. von Braun (eds. ): Food Security, Diversification and Resource Management: Refocusing the Role of Agriculture, Brookfield: Ashgate, 1999. (2) Optimal Genetic Resource Conservation: In Situ and Ex Situ (with T. Swanson). In: Brush, S. (ed. ): Genes in the Field: On-Farm Conservation of Crop Diversity. IDRC/Lewis 1999. (1) Market/Non-Market Incentives and Agricultural Policies for On-Farm Conservation. In: Jarvis, D. and T. Hodgkin (eds. ): Strengthening the Scientific Basis of On Farm Conservation of Agricultural Biodiversity. Rome: IPGRI/FAO, 1998.